This website collects basic information about last printed books written by Spanish book writer Anna Maria Lopez Lopez, arranged chronologically. 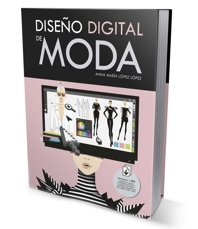 Info: This best-seller and pioneer book titled Diseño Digital de Moda is a recommended text book for aspiring fashion designers and fashion illustrators who wants to convert the computer in the best creation tool for fashion designing. A book used in fashion design schools around the world for teaching digital design techniques. Includes a curated selection of computer generated fashion designs, sketches, flats and apparel designs created by the best international digital fashion designers. A must-read for learning how to design fashion with design software, computers and the latest tecnology. Info: The first book dedicated exclusively to fashion figures and sketches ( figurines de moda).Featuring a curated selection the best fashion illustrations and designs created by fashion designers and illustrators from all around the world. The book also includes interviews to professional fashion illustrators like Arturo Elena, Hayden Williams and Danielle Meder. A must-read to all fashion and illustration lovers. 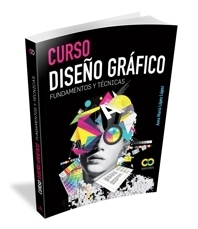 Info: A complete book course about professional graphic design and visual communication. With chapters about visual communication concepts,color theory, type clasification, grid design, digital design, preparing for printing, graphics for WWW, etc. All about GRAPHIC DESIGN for future graphic designers. Includes a curated selection of design examples created by international designers and design studios. Info: The first book about digital techniques of coolhunting. With the participation of international professional coolhunters, trend analyst, trend forecasting agencies and real trendhunters. 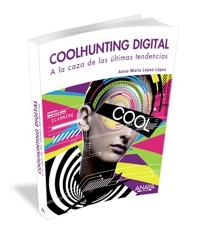 Printed in full color, profusely illustrated with more than 200 commented website resources about coolhunting and digital trend hunting. With this book you will learn how to find new trends using Internet tools and visiting the best cool resources on the Net. Discover Coolhunting 2.0 or the new digital coolhunting to stay on the edge. Because the search of cool is always thrilling, always COOL. Info: The essential manual about designing with vector design sofware package CorelDRAW Graphics Suite X5. Info: A book and CD with step by step design tutorials and practical projects for vector design software CorelDRAW X4. Info: A bestseller book about digital fashion design techniques. Printed in full color, profusely illustrated with samples and fashion sketches. Includes a CD-ROM with graphical material such as vector flat garment designs, fashion drawings, clothing clipart and sketches. A book specialised in CAFD ( Computer Aided Fashion Design ). Info: A book and CD about vector design software CorelDRAW Graphics Suite X3, plenty of full color examples and exercises. Info: The first book specialised in CAFD ( Computer Aided Fashion Design ). 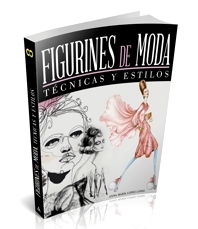 The second edition of this bestseller book was published under the name Tecnicas de diseño de moda por ordenador in 2007. Info: The CorelDRAW 10 Bible is a big, expert-level book about vector designing with CorelDRAW 10 Graphics Suite. Info: A book about how to launch your business on-line and how to use technology in benefit of your small business. Including tips and tricks about website design . in computer-aided graphic & communication design, digital fashion design and trends. Apart from writing 11 books,she has been working as a designer and trainer of digital design in the last two decades. As a teacher she has taught over 3000 hours of training courses in computer aided design for various organizations, and design schools. She also participates as a speaker at conferences, workshops and intensive courses in digital design, coolhunting and fashion design by computer. Over the past 20 years she has collaborated as articulist with numerous publications and editorials and her design work has been internationally recognized in design press and media. Most of Anna Maria Lopez Lopez books have been published by ANAYA Editorial group, a very important book publisher with international distribution bookstores in all Spanish speaking countries. For more information about her books please contact with editorial@anna-OM-line.com.